Ibuprofen is a drug under the classification of NSAIDs or Non-steroidal Anti-inflammatory Drugs. It is usually given for fever and pain. Swelling that is brought about by various conditions can also be controlled with ibuprofen. Usually, ibuprofen is prescribed for fever, headaches, toothaches, arthritis, menstrual pains, muscle aches, back pain, osteoarthritis and rheumatoid arthritis. Too much intake of ibuprofen can lead to side effects. The most typical side effects of ibuprofen are diarrhea, nausea, constipation, stomach ulceration and bleeding, headache, rash, heartburn, retention of fluids and high blood pressure. Side effects brought about by ibuprofen overdose can be life-threatening sometimes. How much Ibuprofen will cause an overdose? In children taking ibuprofen above 400 mg per kg may lead to symptoms. In adults the dose that will cause an overdose is less definite. The half-life in ibuprofen overdose is one and one half to three hours. Prolonged use of ibuprofen can increase the risk for severe heart conditions such as heart attacks and stroke. Therefore, individuals with previous heart attack, stroke and blood clots, together with gastric ulcers, intestinal bleeding, liver and renal problems, asthma and bleeding diseases, must not use ibuprofen without consulting their doctor. Ibuprofen is usually not given during pregnancy because of deficiency in adequate research to know the effect of the drug in pregnant woman. The management must be symptomatic and supportive and consist of the clear airway maintenance and assessment of cardiac and vital signs until they are stable. Activated charcoal can be given to the patient within one hour of taking the overdose. If regular or prolonged, seizures must be managed by diazepam or lorazepam given intravenously. Bronchodilators are given for asthmatic individuals. Ibuprofen overdose is considered a medical emergency and one must seek health assistance right away. If you suspect that you have ingested a higher dose than the usual dose of ibuprofen, then call your doctor straight away. After assessing the status, doctors can manage ibuprofen overdose with the aid of liquid carbon, charcoal, laxative and gastric lavage. More usually, activated charcoal is used for the treatment of ibuprofen overdose. Activated charcoal can absorb the drug and therefore prevent its absorption in the intestine. The gastric lavage is not a very common preference for treatment of ibuprofen overdose. It is commonly performed when the ibuprofen overdose is too severe and can be life-threatening. With immediate treatment, recovery can be assumed. However, occasionally, ibuprofen overdose can result in severe and critical side effects. Hence, it is recommended to use this drug under the supervision of a doctor. This is especially advisable for prolonged use of ibuprofen. 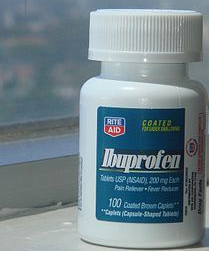 Prolonged use of ibuprofen must be monitored by a doctor and any symptom manifested while using this drug should be immediately notified to the doctor. Also, do not increase the dose of ibuprofen and use other drugs while taking ibuprofen without reporting it to your doctor.